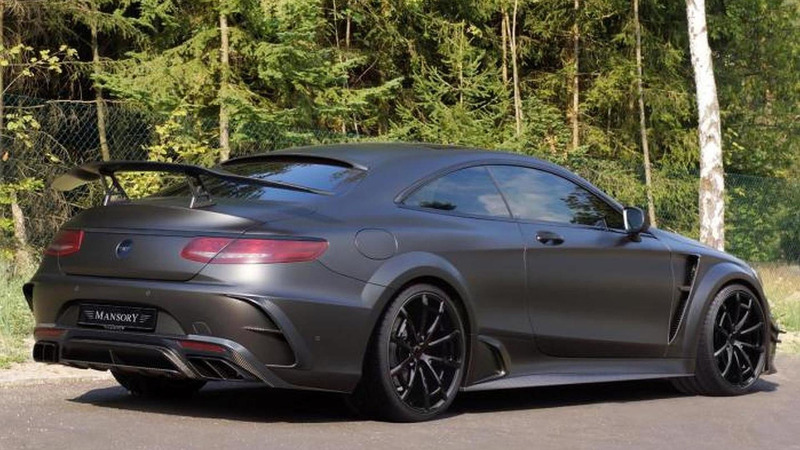 Aside from bringing their flashy orange Bentley Continental GT Speed Convertible, Mansory also has on display at IAA in Frankfurt this Mercedes-AMG S63 Coupe Black Edition. 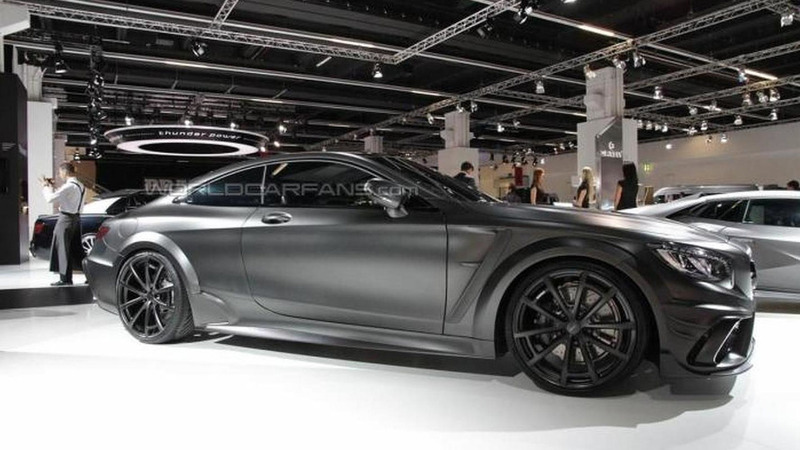 It used to be an elegant large coupe but now it looks like it's ready for the zombie apocalypse as Mansory has decided to apply a sinister all-black treatment along with a comprehensive carbon fiber body kit. They also replaced the stock wheels with a black 22-inch set while at the back it now has a prominent fixed wing also manufactured from carbon fiber. The custom look is matched with a massive power upgrade for the twin-turbo V8 5.5-liter engine which can now deliver no less than 1,000 PS (735 kW) and a whopping 1,400 Nm (1,034 lb-ft) which is actually electronically limited so who knows how much torque the unrestricted engine generates. While the standard S63 AMG 4MATIC runs the 0-62 mph (0-100 km/h) sprint in 3.9 seconds, this one is 0.7s quicker and tops out at an electronically-governed 186 mph (300 km/h) in comparison to the stock version which is capped at 155 mph (250 km/h). Mansory has plans for six conversions, but they don't say anything about how much it costs.